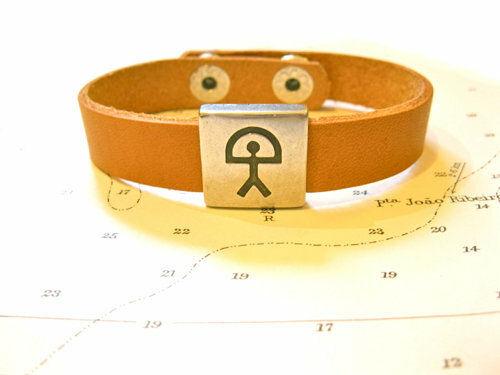 This handmade real leather bracelet features an Indalo figure charm and has a lovely natural feel. In parts of Spain, and some other parts of the world, the Indalo charm is recognised as a symbol of protection and good fortune. So you can gift this piece of jewellery to a friend or loved-one to encourage them to be fortunate and lucky: A gift with real meaning. Dimensions: The bracelet is 13mm wide.